1. Psychology, 10th Edition by David G. Myers. 2. 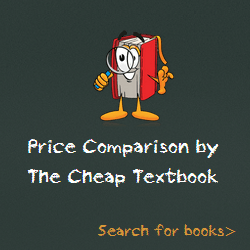 Psychology (Loose Leaf Version) (Budget Books) by David G. Myers. 3. Psychology (3rd Edition) by Saundra K. Ciccarelli – J. Noland White. 4. Psychology, 3rd Edition by Saundra K. Ciccarelli – J. Noland White. 5. Psychology by David G. Myers. 6. Psychology by Daniel L. Schacter – Daniel T. Gilbert – Daniel M. Wegner. 7. PsychPortal for Psychology by Schacter – Gilbert – Wegner. 8. Psychology, 9th Edition by David G. Myers. 9. Psychology, 9th Edition by David G. Myers. 10. The Psychology Book (Big Ideas Simply Explained) by Nigel Benson – Joannah Ginsburg – Voula Grand – Merrin Lazyan – Marcus Weeks. 11. Study Guide to accompany Psychology by David G. Myers. 12. Psychology by David G. Myers. 13. Barron’s AP Psychology, 5th Edition (Barron’s AP Psychology Exam) by Robert McEntarffer – Allyson J. Weseley. 14. Psychology by Don H. Hockenbury – Sandra E. Hockenbury. 15. Study Guide to Accompany Psychology by Don H. Hockenbury – Sandra E. Hockenbury. 16. Psychology: Core Concepts (7th Edition) by Philip G. Zimbardo – Robert L. Johnson – Vivian McCann Hamilton. 17. Psychology: Core Concepts, Books a la Carte Edition (7th Edition) by Philip G. Zimbardo – Robert L. Johnson – Vivian McCann Hamilton. 18. Psychology in Everyday Life by David G. Myers. 19. Psychology in Everyday Life (Budget Books) by David G., PhD Myers. 20. Psychology by Daniel L. Schacter – Daniel T. Gilbert – Daniel M. Wegner. 21. Psychology Study Guide by Daniel L. Schacter – Daniel T. Gilbert – Daniel M. Wegner. 22. The Science of Psychology: An Appreciative View by Laura King. 23. Looseleaf for The Science of Psychology: An Appreciative View by Laura King. 24. The Science of Psychology: An Appreciative View by Laura King. 25. Psychology (10th Edition) by Carole Wade – Carol Tavris. 26. Psychology, Books a la Carte Edition (10th Edition) by Carole Wade – Carol Tavris. 27. MyPsychLab with Pearson eText — Standalone Access Card — for Psychology (10th Edition) (Mypsychlab (Access Codes)) by Carol Tavris – Carole Wade. 28. Psychology Plus NEW MyPsychLab with eText — Access Card Package (11th Edition) by Carole Wade – Carol Tavris – Maryanne Garry. 29. Psychology (A Concise Introduction) by Richard A. Griggs. 30. Psychology in Action, 10th Edition by Karen Huffman. 31. Psychology in Action by Karen Huffman. 32. Psychology: Perspectives and Connections, 2nd Edition by Gregory J. Feist – Erika L. Rosenberg. 33. LOOSE LEAF FOR PSYCHOLOGY: PERSPECTIVES & CONNECTIONS by Gregory Feist – Erika Rosenberg. 34. Psychology: An Exploration (2nd Edition) by Saundra K. Ciccarelli – J. Noland White. 35. NEW MyPsychLab with Pearson eText — Standalone Access Card — for Psychology: An Exploration (2nd Edition) by Saundra K. Ciccarelli – J. Noland White. 36. Psychology in Modules by David G. Myers. 37. Psychology in Modules Study Guide by Richard O. Straub – David G. Myers. 38. Psychology, Eighth Edition by Henry Gleitman – James Gross – Daniel Reisberg. 39. Psychology, 8th Edition by Henry Gleitman – James Gross – Daniel Reisberg. 40. Psychology (2nd Edition) by Saundra K. Ciccarelli – J. Noland White. 41. Psychology, 2nd Edition by Saundra K. Ciccarelli – J. Noland White. 42. Exploring Psychology by David G. Myers. 43. Exploring Psychology (Paper) by David G. Myers. 44. Experience Psychology by Laura King. 45. Experience Psychology by Laura King. 46. Psychology: Themes and Variations (Psy 113 General Psychology) by Wayne Weiten. 47. Psychology: Themes and Variations Psychology by . 48. Psychology and Your Life by Robert Feldman. 49. Psychology, Fifth Edition by Don H. Hockenbury – Sandra E. Hockenbury. 50. Psychology (Loose Leaf) by Don H. Hockenbury – Sandra E. Hockenbury. 51. Exploring Psychology (Loose Leaf) by David G. Myers. 52. The Developing Person Through the Life Span (Loose Leaf) by Kathleen Stassen Berger. 53. Psychology: Themes and Variations, Briefer Version by Wayne Weiten. 54. Psychology Themes & Variations 8E Briefer Version by Wayne Weiten. 55. Psychology: Themes and Variations, Briefer Version by Wayne Weiten. 56. Psychology by Robin M. Kowalski – Drew Westen. 57. Psychology: Core Concepts (6th Edition) by Philip G. Zimbardo – Robert L. Johnson – Vivian McCann Hamilton. 58. Psychology: Core Concepts (4th Edition) by Phillip G. Zimbardo – Ann L. Weber – Robert L. Johnson. 59. Psychology: Core Concepts, Books a la Carte Edition (6th Edition) by Philip G. Zimbardo – Robert L. Johnson – Vivian McCann Hamilton. 60. Psychology: Core Concepts with DSM-5 Update (7th Edition) by Philip G. Zimbardo – Robert Johnson – Vivian McCann Hamilton. 61. Psychology: From Inquiry to Understanding (2nd Edition) by Scott O. Lilienfeld – Steven J Lynn – Laura L. Namy – Nancy J. Woolf. 62. The Pearson Custom Library Psychology From Inquiry to Understanding by . 63. Psychology: From Inquiry to Understanding Plus NEW MyPsychLab with Pearson eText — Access Card Package (3rd Edition) by Scott O. Lilienfeld – Steven J Lynn – Laura L. Namy. 64. Barron’s AP Psychology, 6th Edition by Allyson J. Weseley Ed.D. – Robert McEntarffer. 65. PSYCH 3 (with CourseMate Printed Access Card) (Engaging 4ltr Press Titles in Psychology) by Spencer A. Rathus. 66. Psychology (7th Edition) by Stephen F. Davis – Joseph J. Palladino – Kimberly Christopherson. 67. Psychology, Books a la Carte Edition (7th Edition) by Stephen F. Davis – Joseph J. Palladino – Kimberly Christopherson. 68. Psychology: An Introduction by Benjamin Lahey. 69. Looseleaf for Psychology by Benjamin Lahey. 70. Psychology Ninth Edition in Modules by David G. Myers. 71. Psychology In Modules (Spiral) by David G. Myers. 72. Psychology: The Science of Mind and Behavior by Michael Passer – Ronald Smith. 73. Understanding Psychology, Student Edition by McGraw-Hill Education. 74. PSYCH (with Review Cards, CourseMate Printed Access Card) (Engaging 4ltr Press Titles in Psychology) by Spencer A. Rathus. 75. Psychology I Essentials (Essentials Study Guides) by Linda Leal – Psychology Study Guides. 76. Psychology by Douglas Bernstein – Louis A. Penner – Alison Clarke-Stewart – Edward Roy. 77. Cengage Advantage Books: Psychology by Douglas Bernstein – Louis A. Penner – Alison Clarke-Stewart – Edward Roy. 78. Psychology: An Introduction by Benjamin Lahey. 79. Psychology an Introduction by Benjamin B. Lahey. 80. Introduction to Psychology by James W. Kalat. 81. Introduction to Psychology by James W. Kalat. 82. Introduction to Psychology by James W. Kalat. 83. Discovering Psychology by Don Hockenbury – Sandra E. Hockenbury. 84. Discovering Psychology (Loose Leaf) by Don H. Hockenbury – Sandra E. Hockenbury. 85. Abnormal Psychology by Ronald J. Comer. 86. Abnormal Psychology–DSM-5 Update by Ronald J. Comer. 87. Psychology (11th Edition) by Carole Wade – Carol Tavris – Maryanne Garry. 88. Discovering Psychology, 5th Edition by Don H. Hockenbury – Sandra E. Hockenbury. 89. Discovering Psychology and eBook by Don H. Hockenbury – Sandra E. Hockenbury. 90. Introduction to Psychology by James W. Kalat. 91. Child Psychology: Development in a Changing Society by Robin Harwood – Scott A. Miller – Ross Vasta. 92. Social Psychology by David Myers. 93. Biological Psychology by James W. Kalat. 94. Biological Psychology by James W. Kalat. 95. Advanced Social Psychology: The State of the Science by . 96. Textbook Of Transpersonal Psychiatry And Psychology by . 97. Psychology: The Science of Mind and Behavior by Michael Passer – Ronald Smith. 98. Psychology : The Science of Mind and Behavior by Michael W Passer. 99. Psychology: The Science of Mind and Behavior with In-Psych Cd-Rom and PowerWeb by Michael W. Passer – Ronald E Smith. 100. Psychology: A Framework for Everyday Thinking by Scott O. Lilienfeld – Steven J Lynn – Laura L. Namy – Nancy J. Woolf. This entry was posted in Textbooks on May 15, 2014 by Textbooks.